Beyond traditional sources such as meat and poultry, consumers increasingly seek new protein options, and dairy ingredients are moving front and center in product development. "Using high-quality U.S. dairy ingredients maximizes the flavor, nutrition, functionality and quality of foods that consumers want," says Vikki Nicholson, vice president, U.S. manufacturing and ingredient marketing, at the U.S. Dairy Export Council (www.usdec.org), Arlington, Va., which is managed by Dairy Management Inc.
"The U.S. has consistently been a leader in developing innovative products that capitalize on the benefits of whey protein," she says. "But the numbers suggest this is far from a U.S.-only wave. In 2010, the U.S. rolled out more new products utilizing whey protein (299) than any nation. However, three emerging markets — Brazil with 150, China with 85 and Mexico with 62 — came in second through fourth." Developers have taken note that simple/real foods, as well as clean labels, are attributes consumers seek. "Consumers are interested in good nutrition with known, easy-to-understand ingredients in their food and beverages," says Nicholson. "Products made with dairy are perceived as more wholesome and less processed, while maintaining a familiar listing on the ingredient label." As old as dairy processing itself is the effort to turn co-products and byproducts of dairy processing into food ingredients. For dairy processors, this is both a new source of revenue and means of divert them from the waste stream for environmental reasons. Dairy ingredients are popular in the food processing industry because of their many attributes – taste, texture, healthy connotations, ease of use and microbial protection. Exploring new frontiers of dairy co-products for health and wellness and clean label applications was a session at the June Institute of Food Technologists (IFT) meeting and food expo. Mary Higgins, vice-president of U.S. ingredients trade services for the U.S. Dairy Export Council, said companies making everything from soups to ice cream are looking forward to utilizing new dairy ingredient. "Consumers are looking for simplistic labeling – for foods they are interested in and comfortable with. When they see dairy on the label, they get that," she said. "Dairy ingredients sometimes replace synthetic ingredients while offering enhanced functional performance. Because of their nutrient density, they may add additional value to the nutritional facts panel." Still in the research phase is the use of extrusion to create oligosaccharides from lactose, said Higgins. Oligosaccharides include inulin, a plant-derived prebiotic that aids in digestion and nutrient absorption. Sodium reduction in cheese is an ongoing subject of research, according to Kimberlee "K.J." Burrington, dairy ingredient applications coordinator for the Wisconsin Center for Dairy Research at the University of Wisconsin. She also pointed out that Procream, a co-product of whey protein isolate (sold under various brand names), has been used in ice cream, where it provides phospholipids that serve as an emulsifier, similar to egg yolk. In caramels, Procream adds a dairy fat and helps with browning, and in baking it also may serve as an egg substitute. Increased attention to the nutrients a food contributes shows clear opportunities for dairy and dairy ingredients. And there's a really long list of such ingredients: whey proteins, dry milk powders, milk proteins, cheese, yogurt, lactose, dairy minerals, buttermilk powder, and permeate and delactosed permeate (a co-product of the production of whey protein concentrate), whey protein isolate, ultrafiltered milk, milk protein concentrate or milk protein isolate. One interesting new use is permeate for its salt-enhancing characteristics. It can replace some of the sodium in many applications. "Using permeate — identified as ‘dairy product solids' on the label — can offer cost-effective solutions to reducing sodium levels in foods while still maintaining a salty taste consumers enjoy," says Nicholson. Dairy products, which contribute nearly 20 percent of the protein in the U.S. diet, are nutrient-rich foods with an important "healthy halo. "Using dairy proteins in breakfast and snack foods can help consumers achieve higher protein diets. Ongoing research has shown benefits can result in improved body composition, healthy aging, weight management and satiety," explains Nicholson. "The $90 billion snack market represents an enormous opportunity for new product innovation," she adds. "Over half of the snacks consumed today are focused on nutrition, and dairy ingredients provide a natural fit. On average, snacks contribute 24 percent of daily calories, but only 14 percent of daily protein in the U.S. diet — an opportunity for adding great-tasting dairy proteins." "The future of dairy really is open to many possibilities," says Renata Rojek, food technologist at Edlong Dairy Flavors (www.edlong.com), Elk Grove Village, Ill. "On one hand, there's a big push for the health benefits of dairy. The inherent calcium, vitamins and minerals in milk are a great selling point for those who want to take a more proactive role in managing their health. In addition, milk is often seen as an effective means for weight management and rebuilding muscles. All of these are desirable characteristics that hit a broad range of demographics and individual needs. "That said, although there are a number of benefits to dairy, it's also likely that we'll see a rise of dairy alternatives due to diet, sustainability and ethical concerns," Rojek continues. "Studies indicate there is a rising incidence of lactose intolerance and allergies to milk protein across all ages and demographics. For these individuals, dairy alternatives that feature the same health benefits of dairy would be of great interest. "Similarly, some consumers are concerned about the sourcing of dairy (resource management, humane treatment of the animals)," she continues. "So products with the same healthy characteristics but from a non-dairy source would be a preferred alternative to traditional dairy products." And in regard to obesity, Rojek notes that fat- and calorie-laden products such as ice cream can be reformulated with mouthfeel flavors to contain the perception of a rich, fatty character typical of full-fat products. Americans seem to have finally caught up with the rest of the world in yogurt consumption. 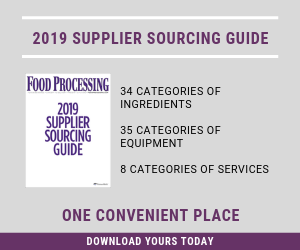 "This category exploded in the past decade with new product introductions featuring decadent dessert and beverage flavors," adds Jennifer Tracy, customer marketer at Edlong Dairy Flavors. "Today, we see similar innovations, such as cheesecake-flavored ice cream, which have been accepted by consumers. New product launches like this in dairy help to keep the category fresh and interesting." Fonterra North America (www.fonterra-northamerica.com), Rosemont, Ill., seeks to innovate along four current challenges: Healthy Convenience (closer-to-nature foods that are easy to store, transport and eat), Healthy Aging (to help aging consumers maintain healthy, active lifestyles), Mother and Child Nutrition (meeting the specific nutritional needs of mother and child) and Satiety (controlling the unhealthy cravings that create overweight and obese consumers). Nutrition bars certainly fit into Healthy Convenience. "Our team spent a lot of time researching protein bars," says Rachel Marshall, category marketing manager-nutrition at Fonterra. "What we found is that most protein bars get steadily harder as they sit in the pantry. Some manufacturers try to compensate for the problem by using hydrosolates. But the problem there is that hydrosolates come with a bitter, off taste." Fonterra's solution is PowerProteins, protein ingredients that allow manufacturers to formulate energy bars with a longer shelf life but without off flavors. "Instead of the typical solid brick protein bar, we created a prototype that eats more like a candy bar," she says. "A milk protein concentrate gives the bar a fluffy nougaty texture, adds protein fortification and gives the bar a shelf life of over a year." Bananas Foster Indulgent Bar, a decadent protein-fortified energy bar with fluffy banana-flavored nougat layer on top of a high protein caramel, is a nice prototype. It delivers 10g of protein in a 40g bar, maintains a soft and fluffy texture over time, contains three times the amount of protein of a regular caramel bar and has better texture and flavor, Marshall claims. The best part: "The texture and gooey caramel satisfy your candy cravings without ruining your resolve to eat well," says Marshall. As people work longer into retirement, there is a greater need for products geared toward vitality and health in a more senior workforce, according to Mintel. To address Healthy Aging, Fonterra developed Reduced-Sodium Savory Cheddar, a breakthrough natural Cheddar with 40 percent less salt and less fat. The technology has been in the works for three years. "Reducing salt in cheese has been a holy grail of cheese manufacturing for decades. But simply removing salt is difficult, because sodium impacts everything from flavor, texture and moisture content to keeping ability," says Joe O'Malley, Fonterra's marketing director for cheese. "Normally when you start reducing salt, the cheese starts tasting off. We used a special starter culture to ensure the product kept a full semi-mature flavor. It has all the functionality of a regular Cheddar."